Apple iPhone 7, 7 Plus, 7 Pro: Specs , release date, pricing . Apple is known for launching new products every year. During its WWDC, it launched iPhone SE which was an upgrade for people who preferred the iPhone 5s but wanted the power performance of iPhone6s. With iPhone SE being a unique concept, it helped to increase the value of iPhone 6s along with giving people another choice in the iPhone family. Apple is known for their user friendly devices that are very reliable and high end devices. The company gives us the experience of owning a premium device. Tim Cook, CEO of Apple Inc, recently announced in a recent interview that the new range products will include a feature that we simple can’t live without having. Although it is rumored that new range of products will include three types of phones: iPhone7, iPhone 7 Plus, iPhone 7 Pro. All of them would be similar in design but the RAM and battery will be different. Without further adieu, let’s look into each of them. iPhone 7 will have a similar design like the previous version like iPhone 6 or iPhone 6S but it is supposed to be 1 mm thinner.. One of the interesting upgrade would be the dual speaker rather than a single speaker. Apple might change all it’s accessory into lightning which will further require an adapter that can be sold separately by the company. This means we can only charge or listen to music. Some rumors also say that the new earpods can be wireless to avoid this problem. The upgraded iPhone 7 will have a better water resistant which can be triggered by the absence of the headphone jack. The upgraded phone is said to have it’s camera slopped up which will have a better angle for photo.Antenna bands on the iPhone are wider which will provide better coverage. The new iPhone will have an upgraded camera 15 MP which will come with better image sensing technology. The body will be more protective. The iPhone is expected to sell at $800. Worlds Cheapest Freedom Hd Led Tv Soon Going To Launch . The Plus version will be featuring an upgraded proximity sensor. The ambient light sensor can be hidden in this version. An adapter for 3.5 mm headphones. The camera can be provided up to 15 megapixel and wider than the previous Plus versions. The proximity sensor on iPhone 7 Plus is being divided into two parts. The antenna bands on the iPhone will be wider protecting the upper portion of the iPhone. The processor will be updated in the iPhone which will have the similar architecture of the a9 processor in apple. 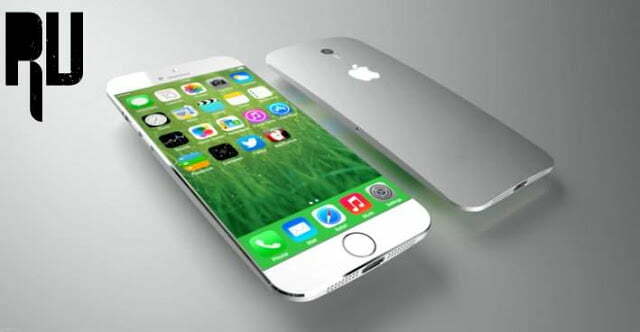 The apple iPhone 7 Plus is intended to bring a faster image processing which will be obtained by the dual tone flash in iPhone 7 Plus. iPhone 7 Plus is to be priced at $1000. iPhone 7 Pro would be a variant of iPhone 7. This will have dual lens camera rather than a single lens. Also the ambient light sensor would be hidden in the Pro model. Along with this, the screen might be enhanced to support a better resolution. The iPhone will also come with divided proximity sensor. The dual speaker will provide a better sound experience to the user. On top of this, the Pro version will have the same RAM as the iPhone 7 Plus, given the size of the Pro version will be the same as regular iPhone 7. The pro version will be having a more curved design than the iPhone 7. The water resistance is also increased on the iPhone 7 Pro. The flash will be flash for even the front camera. The adapter given for Pro can be used for various other purposes. This model will be more protective and elegant, at the same time sleek. The pro version will be priced at $980 dollars. The biggest wait is for the iOS 10 release which will have updated emojis and the new iMessage which can emojify your text. Along with this,it will give extra time to the battery with its amazing optimization power. Apple will be releasing its new phone in the fall which is september 2016. Iphone 7 , 7 Pro , 7 Plus India Launch Date . All the three smartphones are expected to launch in september in USA and as usual the smartphones will be launched in india after 1 month of the launch in Usa . However there is no Words on the variants that will be launched in India . Iphone 7 , 7 Pro , 7 Plus India Price . Apple usually price their products a little bit higher in india compared to other markets . So Below are the expected prices . Iphone 7 India Price :- 40,000 . Iphone 7 Plus India Price :- 50,000 . Iphone 7 Pro India Price :- 65,000 . So this was our Guide on iPhone 7, iPhone 7 Plus, iPhone 7 Pro: Specs , India release date, India pricing .